Selected photographic documentation (courtesy the artist) and films (courtesy the Collection of the State Museum of Contemporary Art, Thessaloniki). 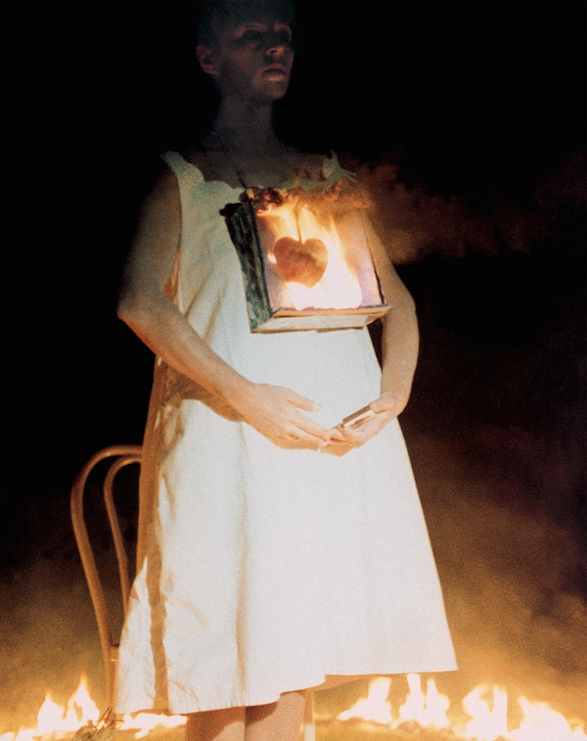 Leda Papaconstantinou, Burning (1985). Courtesy the artist. The VENICE INTERNATIONAL PERFORMANCE ART WEEK 2016 presents a photographic documentation of Leda Papaconstantinou's work and a selection of films based on performances, among others: Oh Godard (1969), and Votive (1969).